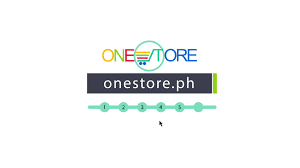 The Department of Trade and Industry (DTI) will tie up with the Department of Science and Technology (DOST) to help micro, small and medium enterprises (MSMEs) expand their market and reach clients online with the OneSTore.ph. “MSMEs are the backbone of the Philippine economy. And as part of President Rodrigo Duterte’s whole-of-government approach to assist MSMEs, we are teaming up with DOST to impact the lives of more Filipino entrepreneurs,” said DTI Secretary Ramon M. Lopez. This comes as DTI intensifies marketing capabilities of MSMEs to help them reach the mainstream market. Under the OneSTore.ph agreement, DTI will Promote the oneSTore.ph to MSMEs through Negosyo Centers as a platform where they can market their products on-line. At the same time, DTI will make Negosyo Centers accessible to clients of DOST and allow clients to display and dispatch their products with its payment and logistic partners in One Town One Product (OTOP) Philippines HubStores, subject to availability of space and to DTI priorities and promote oneSTore and provide signage for the spaces provided for oneSTore.ph and oneSTore hub in every OTOP Store identified as co-branded hub, among others. The One Town, One Product (OTOP) Philippines is DTI’s collaborative program with national government agencies and local government units as a customized intervention to level up the products of various localities and drive inclusive local economic growth. DOST, on the other hand, will develop and maintain oneSTore.ph where its accredited Regional Hubs and MSMEs may sell products and services to its clients and engage with payment and logistics partners and provide better oneSTore.ph services to its accredited Regional Hubs, MSMEs and its partner agencies. DOST will also Provide priority to jointly identified OTOP products for product development initiatives including improvements in packaging and labeling, subsidy or discounts in testing fees, equipment support such as the Small Enterprise Technology Upgrading Program (SETUP), and strengthen research and development efforts.